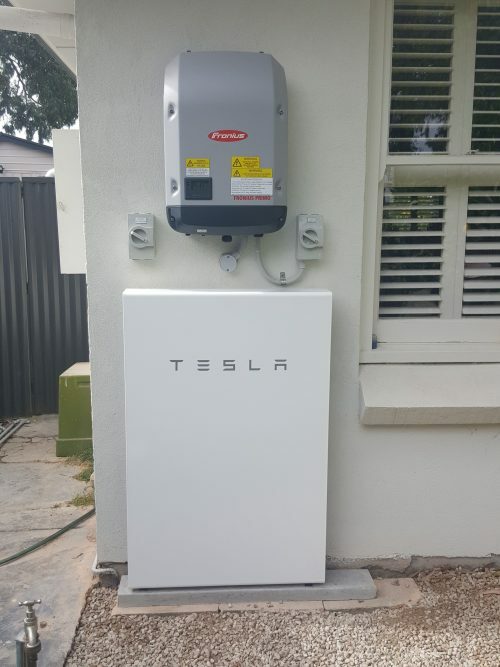 Just had this company install a big residential array and tesla battery. They were excellent! They were professional, courteous and friendly. Nothing was too much trouble and they really know their stuff. I researched a lot of companies before install and these guys come out well in front of the pack. We couldn’t be happier. Recently I had a problem with my Sunny Boy solar inverter and contacted Mr Pat Robinson of Adelaide Solar Repairs, to come and identify and fix the problem. He arrived within a day or so of the phone call, and was prompt and efficient in identifying that the inverter had failed. He negotiated with the manufacturer and organised to have the inverter replaced under warranty, at no cost to me. I have found ..(Adelaide Solar Repairs) to be most friendly and professional. Long story. In October last year my usual electrician suggested a solar service. I thought this was a good idea as my system was installed over 6 years ago and I thought a check would be in order as I have heard some horror stories about shoddy installations. He identified a couple of problems which could be easily fixed, but said the panels were deteriorating, and suggested a complete new system. I actually intended to do that, but basically that company really let me down, were quite rude, and so I didn’t go ahead with it. Since I no longer felt any trust in them I was looking for someone else to look at it my solar system, give an opinion and fix any problems. I found Adelaide Solar Repairs, and rang them Monday, and they said they could come the next Thursday (today). A very nice man named Paul came today on time, and actually rang 40 minutes ahead to let me know he was on his way. He was very pleasant, answered all my questions in an easy to understand way. He said the panels are fine! But he did agree with the other issues raised by my usual electrician. So he fixed those, and showed me what he had done. I contacted Adelaide Solar Repairs and told them of my problem. They gave a rundown of what they would do and confirmed my booking for the following day. They rang when they were on the way and arrived on time.